Kelly Smile Dentistry welcomes you to a reinvigorating and inspiring dental experience! The friendly and outstanding dentist you’re looking for is here and she does not underwhelm no matter how high your expectations are. 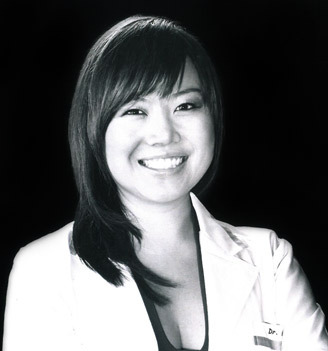 Dr. Kelly Hong is a professional who is experienced in the numerous fields of dentistry. Regardless of what you’re looking for at our office, Dr. Kelly has the solution for you. With precise and genuine care, our team is dedicated to converting your smile from one level to the next. The relationship we build with you can be one of the strongest partnerships you can have. We aim to earn your trust with comfortable, convenient, and life-changing care! Our options in transforming your smile are limitless. Invisalign aligners, crowns, bridges, and ZOOM! teeth whitening are only a fraction of the entrée of treatments we specialize in. We also possess the unique Sirona 3D Imaging system that can precisely deliver the results you’re looking for. This technology includes improves image quality, automatic scan positioning, and simplified operating functionality. The complete set of advance dental care is what you can expect at our office. Contact us and prepare for a wonderful ride of a teeth-enhancing experience! The care I received from Dr. Kelly was phenomenal. She and her team truly set the bar for what is possible in a single visit. I was missing a tooth for numerous years and finally made the decision to change my fortunes. Dr. Kelly provided me with an amazing smile that is worthy of my confidence and pride. I’m glad that she is always available to turn my life around. Thanks for an incredible experience! A misshaped set of teeth were not what I had planned to bring to college. I contacted Dr. Kelly Hong for a viable solution and found plenty through her amazing repertoire of expertise. I underwent a comfortable Invisalign procedure that gave me an amazing smile transformation! With my radiant new smile, I can look forward to going out again!